Make a difference! Walk as one at 1! 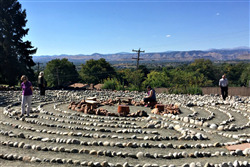 Join the wave of peace as people around the world walk a labyrinth at 1 pm raising the vibration of the energy across each continent.